You know when you find something on Pinterest and think – yep I can do that? Well I did! 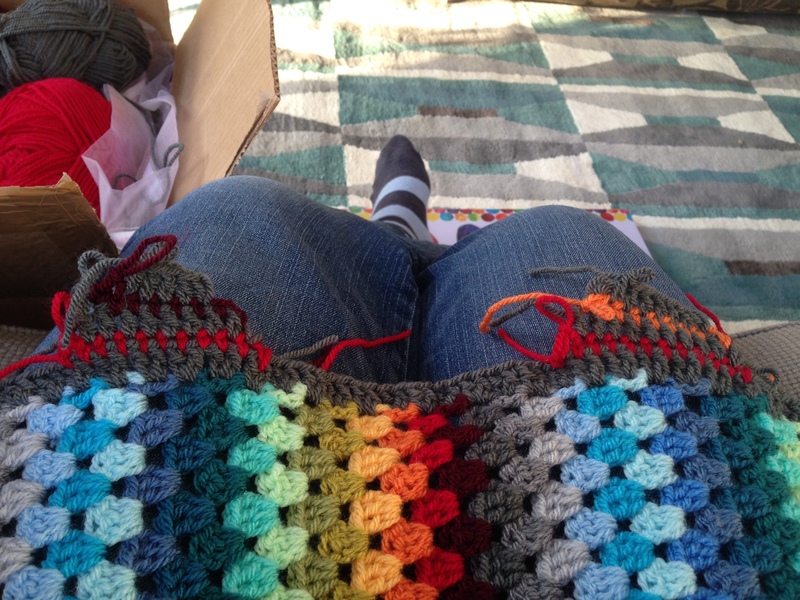 A friend showed me a beautiful rainbow blanket she’d found on Pinterest a while ago – well I say a while ago – it was just before Christmas. 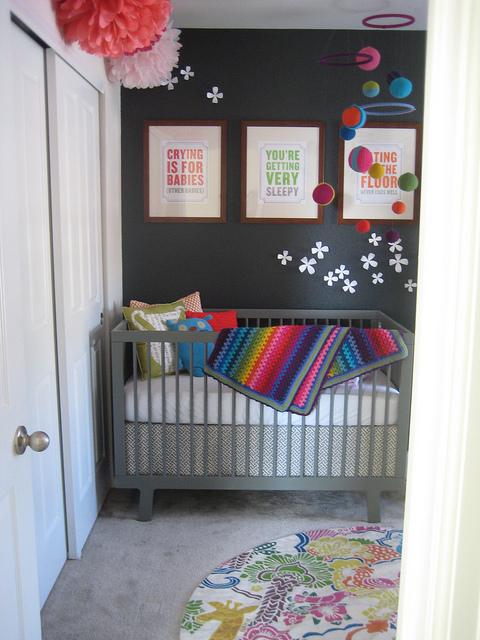 It can be found on this lovely blog about nurseries here. 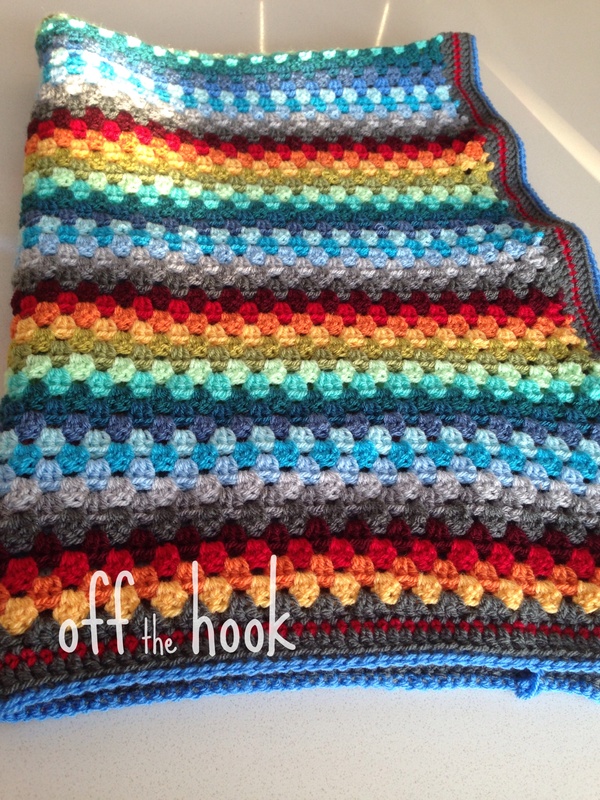 I knew she was expecting a boy soon and she asked me to make a rainbow blanket for him as his pram blanket – and I didn’t have much time as he was due to arrive very soon! 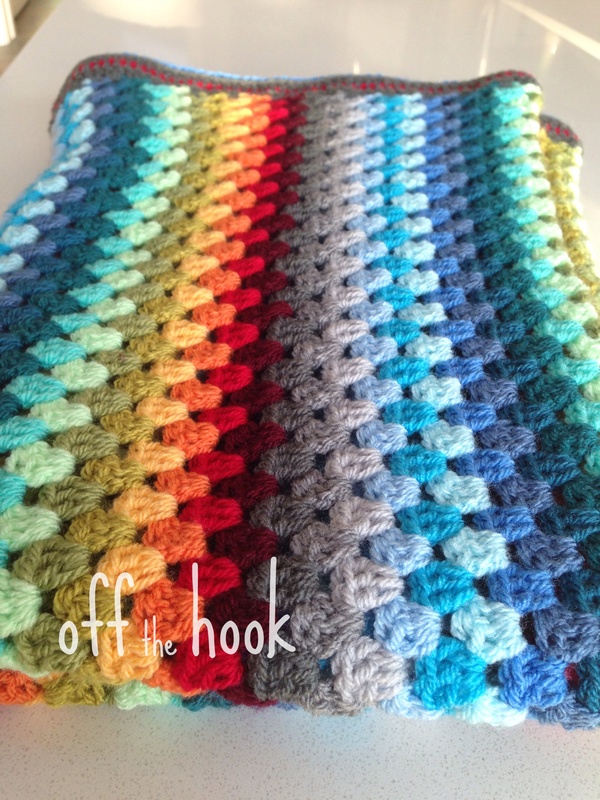 So google found me a trusty granny stripe pattern on Attic’s 24 blog. 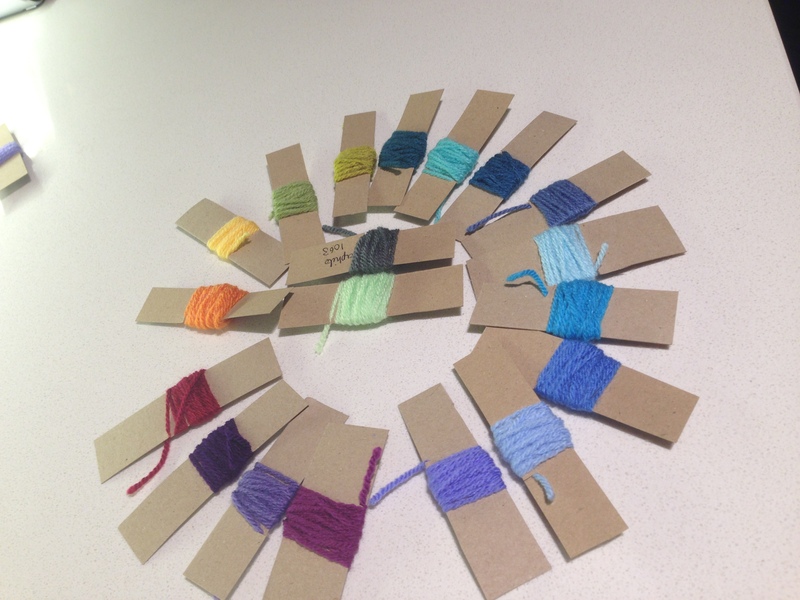 Next was the wool ….. I decided to go for highly recommend Sytlecraft Special DK. 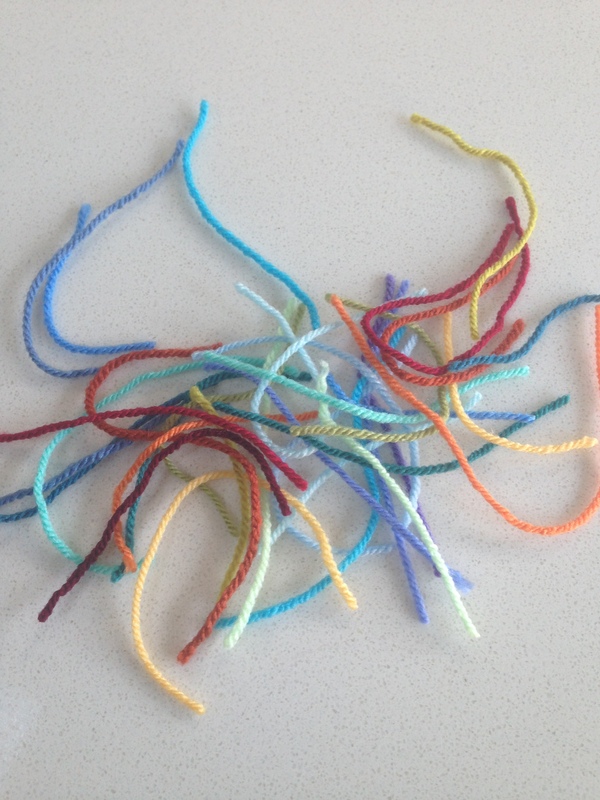 The choice of colours was endless. 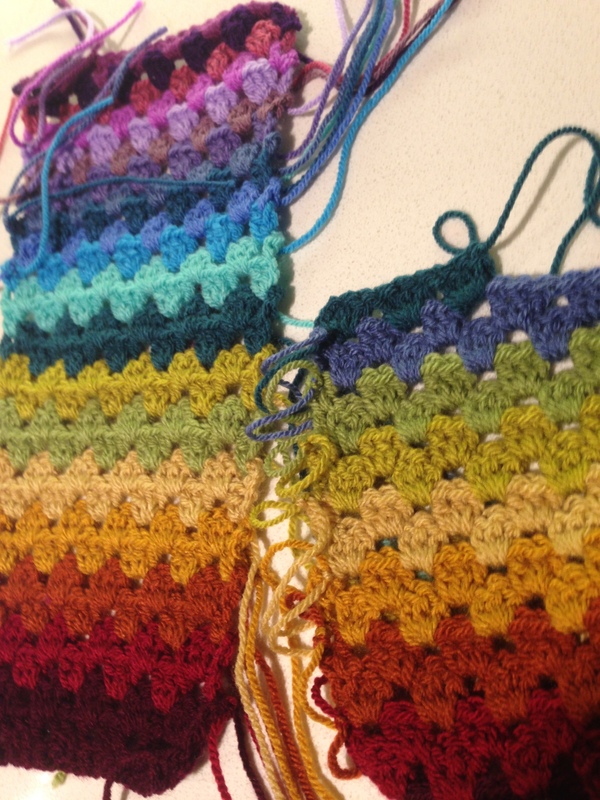 Far too many to narrow down to just a “boy” rainbow – so I ended up buying a few more to make a blanket for me too. 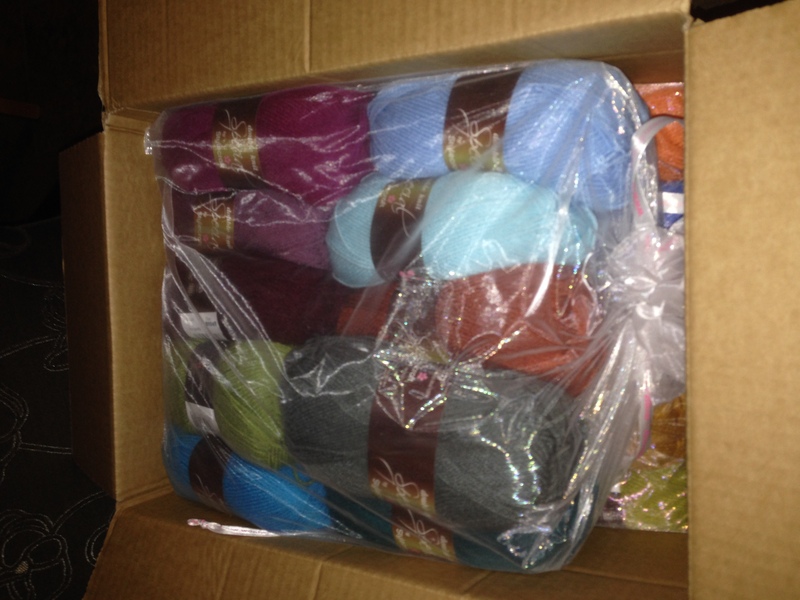 I order loads of colours, and it was delivered on Christmas Eve. I didn’t even realise it was my yarn as it came so quickly I didn’t bother opening the box until the evening as I thought it was yet more gifts for me to wrap. 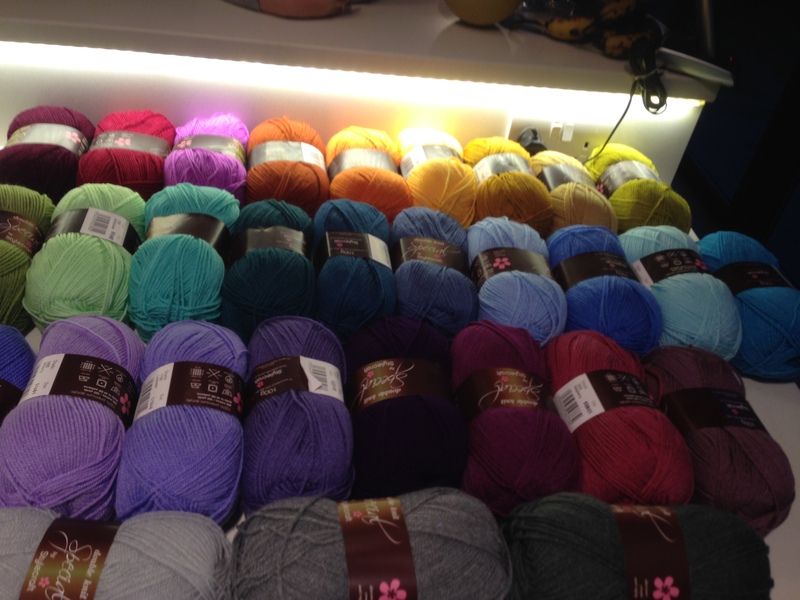 Then I found this little lot…. imagine my surprise and complete joy! The photos now are awful as it being the UK, it’s dark and dreary and basically night time for the majority of the day in Winter! 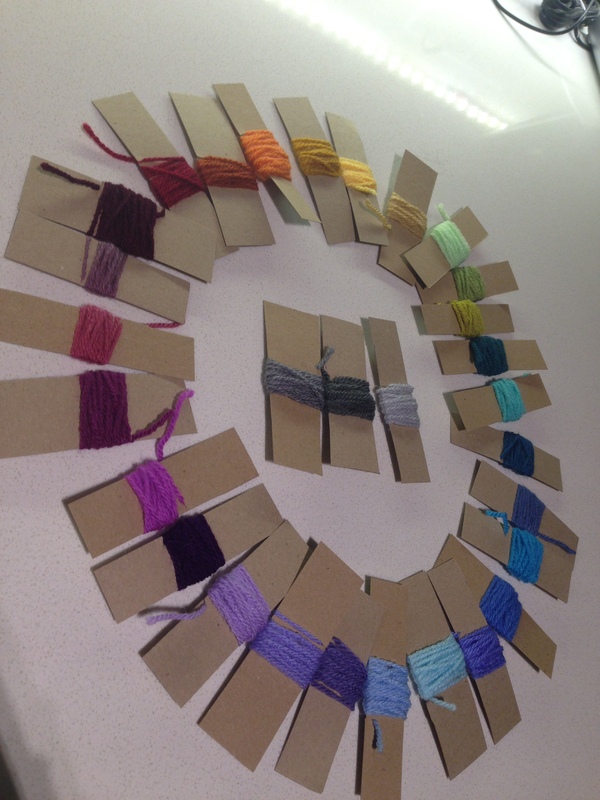 All these wonderful colours….. but how to decide which ones to use? 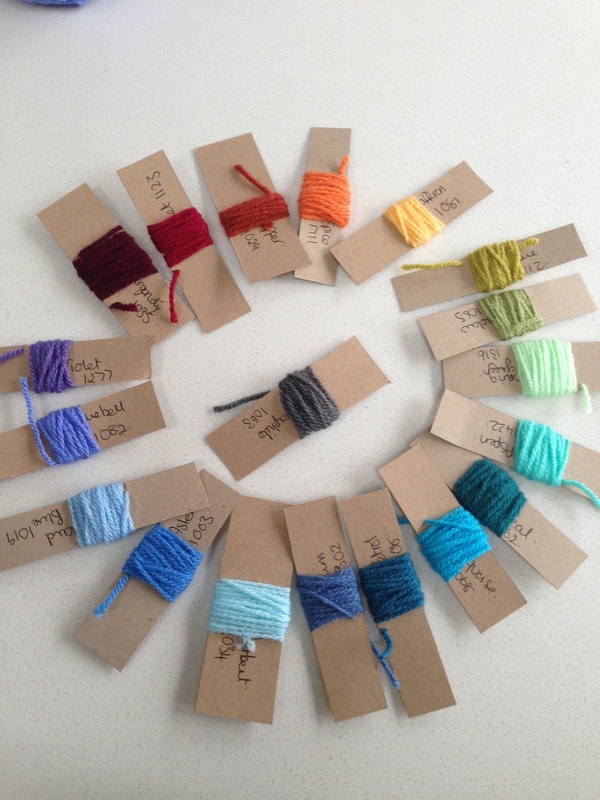 The Lovely Lucy of Attic 24 uses pegs…. I thought – yes – great idea – I’ve got pegs, and then realised the kids had used them and painted them – so improvisation was needed. High tech Cardboard! Even this was too purple…. I made a sampler. 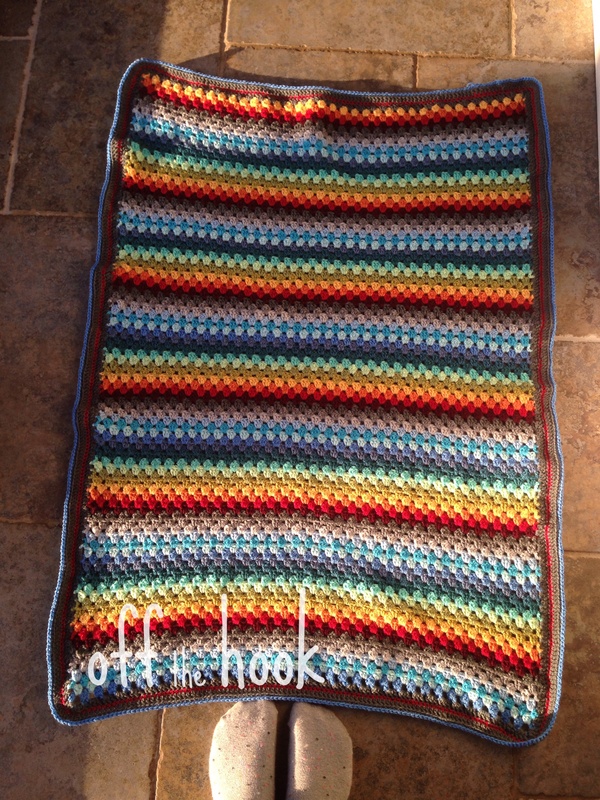 Attic 24’s blanket has 2 rows of each colour. 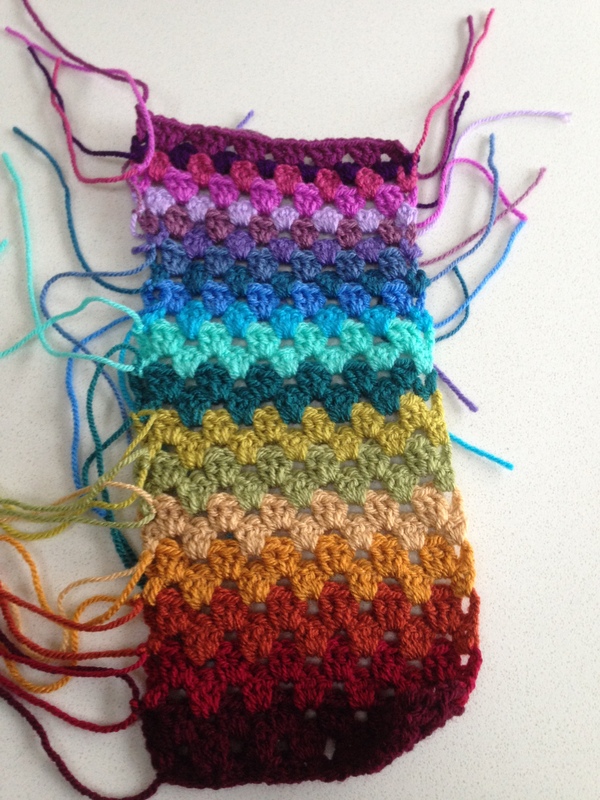 This one we wanted more of an impact – so one row of colour for each of the ones we’d picked. I thought I’d cracked the colours, then we ended up changing things again! A brighter red was needed – a mercy dash on New Years eve to the local wool shop before it closed at 2pm (I phoned at noon)where they luckily had a bright bright red called “lipstick”. But then the orange and red looked awful together! 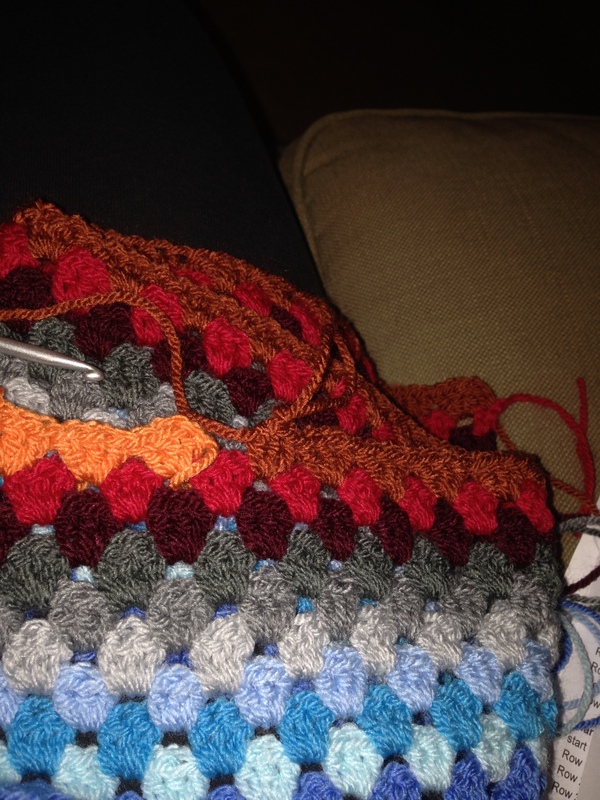 All the while this is going on and decisions are being made my other blanket is taking shape! But then I changed my mind on this one too! 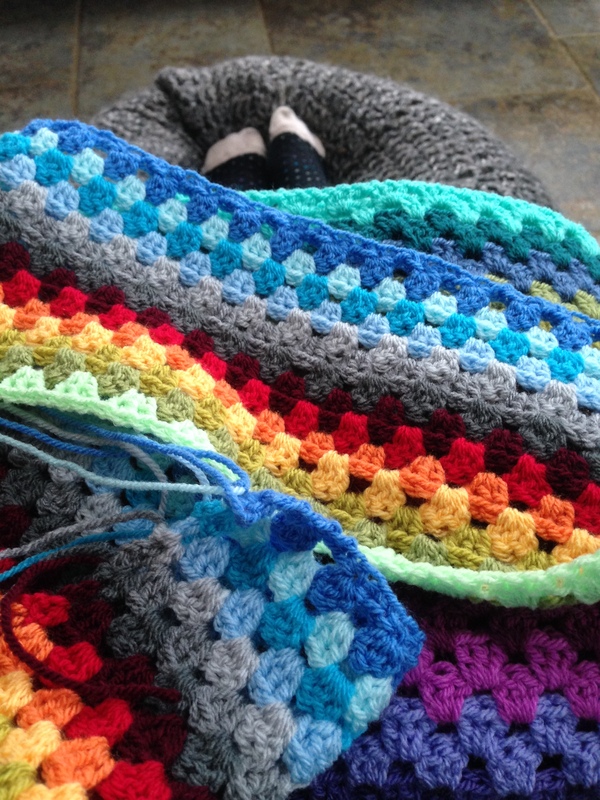 Decisions finally made – the “Boy Rainbow” blanket finally started taking shape (along with mine)! And I fell in love with it! 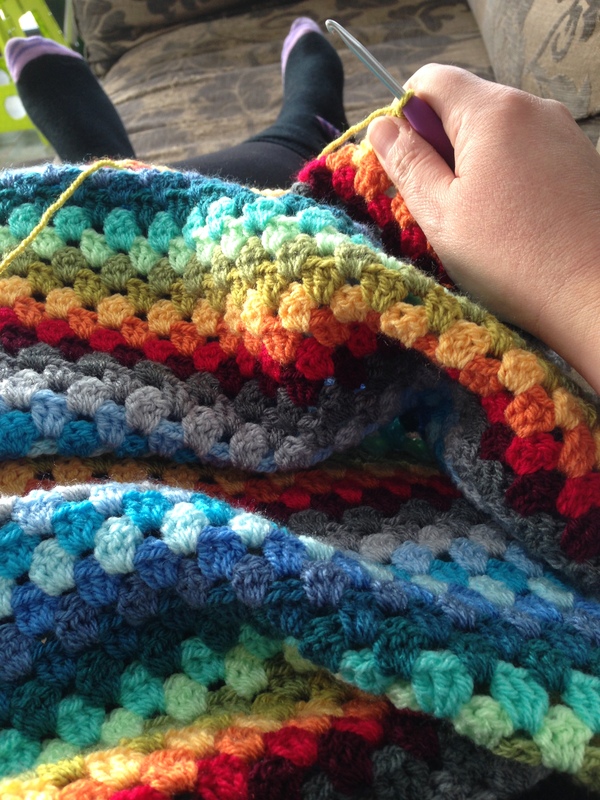 The worst bit of making a blanket….. single stripes gives a great effect – but those ends – oh my those ends! It was so so boring and took forever (I think is why I stopped mine momentarily)! 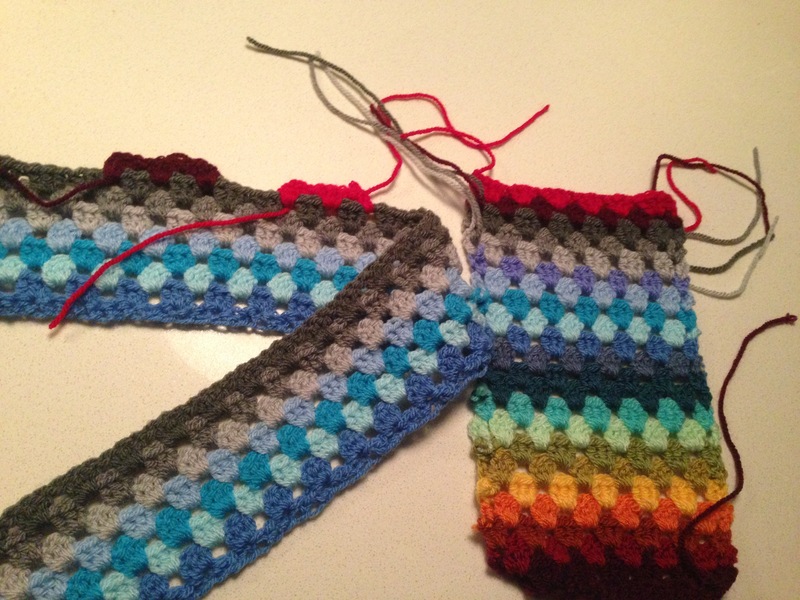 Edging needed to be decided……. And then…. only a little late (As the baby was early!) 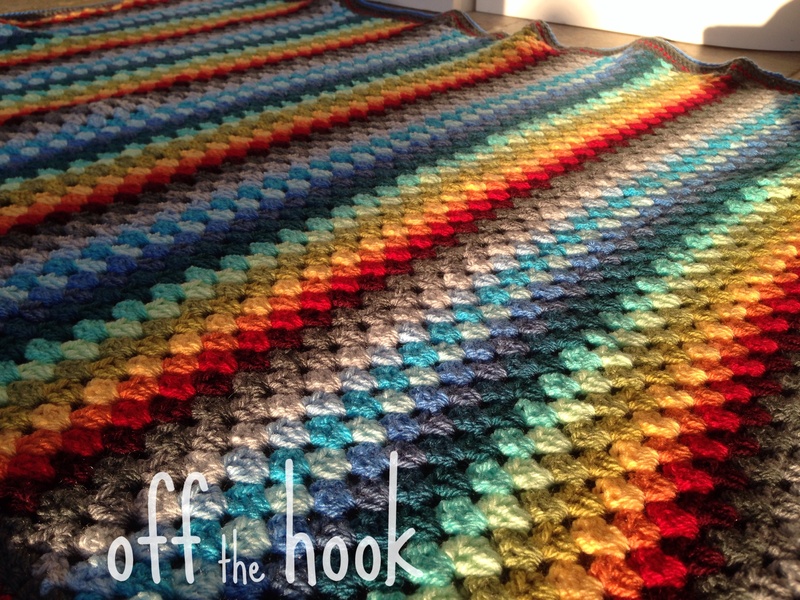 – one “Boy Rainbow” blanket was finished.